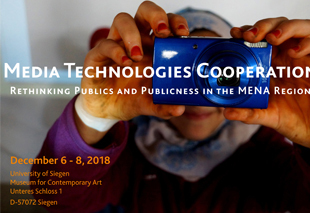 After studying ethnology and philosophy in Hamburg, Berkeley and Tübingen, I wrote a dissertation on Moroccan trance brotherhoods and their media practices at the Graduiertenkolleg "Die Figur des Dritten" (Constance) and conducted stationary field research in Meknes, Morocco. For this work I was awarded the Frobenius Society's Research Promotion Prize. 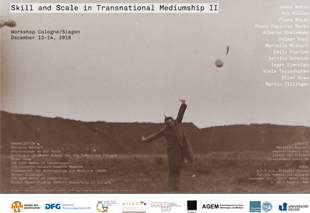 As part of the DFG project Trance-Mediums and New Media at the University of Siegen, I have increasingly dealt with the relationship between migration and religion among Arabic-speaking migrants in Brussels and Paris. 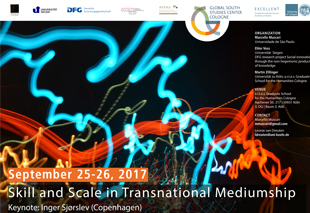 Since moving to the University of Cologne, I have pursued my media anthropological interests at the SFB "Medien der Kooperation" with a research project on Digital Publics in Morocco, on new "Communities of Practice" at the Global South Studies Center Cologne and with a research project on migration in Kenya at the SFB "Future Rural Africa". 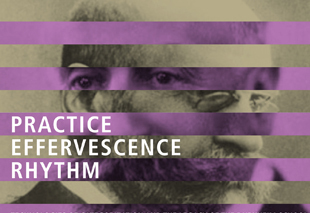 Against the background of my broader interest in practice theory I am currently involved in a project on the Durkheim School and its impact on the social sciences. In the context of the Mauss-Werkstatt at the a.r.t.e.s. Research Lab we are working on the translation and edition of the writings, which contributed to what we call Durkheims' and Mauss' Category Project. 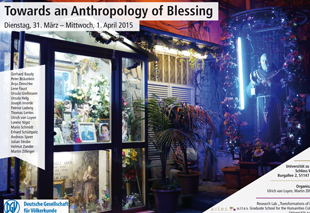 My research and teaching focusses on religion – in particular the anthropology of blessing – and media – in particular the ethnography and theory of situated media practice. 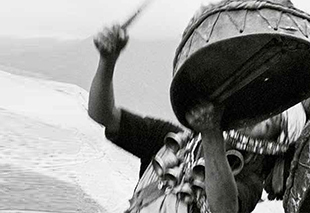 Furthermore I am interested in migration and globalization as well as the history of anthropology. Making and Braking Chains of Value. 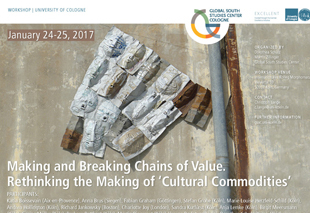 Rethinking "Cultural Commodities"
2019: (with Johannes Schick and Mario Schmidt) (Ed. 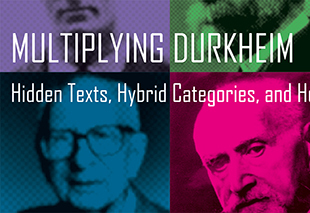 ): The Social Origins of Thought: Durkheim, Mauss and the Category Project, in preparation for Berghahn, London. 2018: (with Ulrich van Loyen, Johannes Schick and Mario Schmidt) (ed. 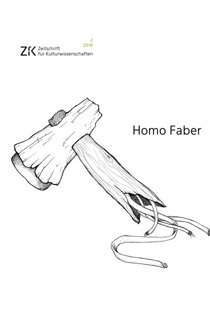 ): Homo Faber, Zeitschrift für Kulturwissenschaften, issue 2/2018. 2015: (with Erhard Schüttpelz) (Ed. ): Begeisterung und Blasphemie, Zeitschrift für Kulturwissenschaften, Issue 2/2015. 2015: (with Cora Bender) (Ed. ): Handbuch der Medienethnographie, Berlin: Reimer. 2015: (with Heike Behrend and Anja Dreschke). Trance Mediums and New Media, New York: Fordham Press. 2013: Die Trance, das Blut, die Kamera. Trance-Medien und Neue Medien im marokkanischen Sufismus, Bielefeld: Transcript. 2017: Rethinking anthropology's tricks of the trade. From a comparative anthropology to an anthropology of comparison. Comment on Graham Jones' Magic's reason: An anthropology of analogy, in: HAU 3/2017. 2017: Graduated Publics. 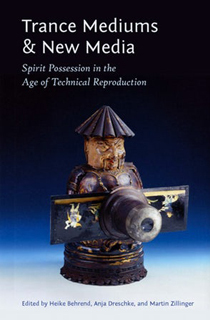 Mediating Trance in the Age of Technical Reproduction, in: Current Anthropology, Supplement 15, "New Media, New Publics? ", peer-reviewed, Vol. 58 (S14): S41-S55. 2016: Transe, in: Diniogi Albera, Maryline Crivello and Mohamed Tozy (eds. ): Dictionnaire de la Méditerrannée, Actes Sud, 1467-1478. 2015: Territories of Grace. The Past and Future of Mediterranean Trance, in: Mihran Dabag et al. (Ed. ): New Horizons. 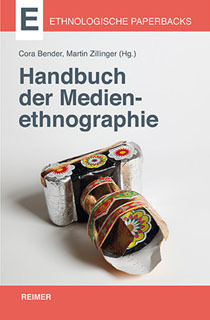 Mediterranean Research in the 21st Century, Munich: Fink, 427-439. 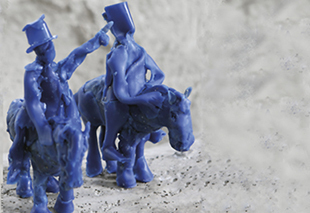 2015: Was sind mediale Räume?, in: Cora Bender and Martin Zillinger (ed. ): Handbuch der Medienethnographie, Berlin: Reimer, 173-186. 2015: Ouvre la bouche. Eine andere Geschichte der »Efferveszenz«, in: Erhard Schüttpelz and Martin Zillinger (ed. ): Enthusiasm and Blasphemy. Journal for Cultural Studies 2/2015, 243-249. 2014: Christian Modernizations. Circulating Media Practices of the Mission along the Nile, in: L'Année du Maghreb 2014/X, Special Issue "Routes migratoires africaines et dynamiques religieuses au Maghreb et au Machreq : quels enjeux? ", Sophia Bava and Katia Boissevain (eds. ), 17-34. 2014: Möglichkeits(t)räume der Migration. Kooperationsstrategien marokkanischer Migranten auf dem Weg nach Europa, in: Bettina Severin-Barboutie (ed. ), Stadt in Bewegung. Wandlungsprozesse in plurididisziplinärer Perspektive, Francia 41: 489-502.